I just warned my girlfriend that I bought the Sopwith Camel and suggested that I should have some dedicated dinner table time (DDTT) to build it. She seemed pretty into helping me build it. I bought these "disposable" sets for my nephew. I can't believe the Lone Ranger one actually has the shooting cannon! The actual spring cannons were just a bit before my time growing up. I remember friends being lucky enough to have them. I'm surprised they have been resurrected. Also, what kid wouldn't love a fire motorcycle? It's even cooler than a fire truck! My Black Seas Barracuda has a bunch of firing cannons. The funny thing is I bought a little rowboat with a cannon on it later that year and was shocked that the cannon didn't fire. I actually took it apart and discovered it was intentional. Yeah, all the cannon stuff I got as a kid was just after the switch. My Boba Fett backpack cannon did not fire! I have that! That was my first Pirates set (no big ship or island sets though), and I think I was most excited about minifigs with facial hair. And the sharks. My nephew really liked the LEGOs. I'm gonna have to order 30 or so cannonballs, though. He's going to lose all the ones it came with. The mini-figs ended up being the sad clown, the skydiver, and the motorcycle mechanic. The mechanic can work on the fire motorcycle. Lego Mindstorms EV3 review. Wow, that would be so much fun. Wow, $350 price tag! Wasn't the 2nd generation of MindStorms closer to $200? Technic Grand Prix Racer—$150, two feet long, moving suspension, pistons, and DRS wing, plus you can add the motor and battery pack ($40). I never liked Technic when I was kid since they looked skeletal and incomplete (I liked Model Team, insofar as my parents could afford them), but this is the most impressive looking set I've seen since the Sopwith Camel. Lego is epic. I have started to buy random sets and leave them in their boxes, nicely on display. Being in Sydney, I have my eyes on the Opera House set. Thirded. I love stuff like that. I think they've had a lego Star Wars advent calander for a few years running. My parents gave me one last year. That set is nuts. 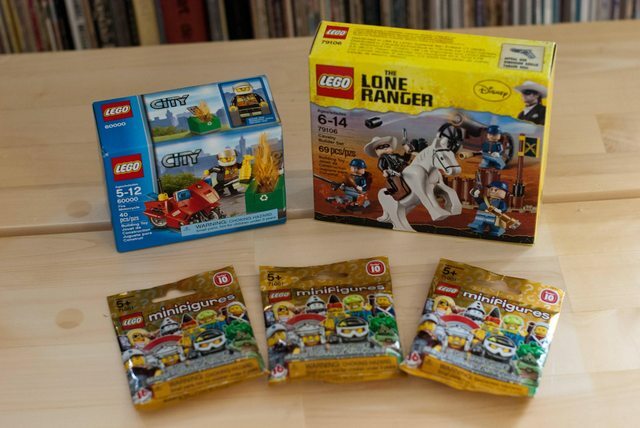 Ever since I ordered something off of lego.com, they started mailing me the catalog. It's really bad for me to look at that. I saw that Technics race car in there too. It's just not something I should be getting in the mail. When I purchased the 2 new MineCraft sets a few weeks ago, they gave me a LEGO Shop at Home minifigure. All the LEGO trains I want are retired and several hundred dollars. I really want one to go around the Christmas tree. Which one did you want? The City ones are pretty rad. I also really like the Lone Ranger except for the fact that it's Lone Ranger branded. I have the exact same thought on the Lone Ranger one. The ones I was interested in are the Red Cargo Train and the Emerald Express. Oh geez, those are so cool. Bought this today on my lunch break while picking up some groceries. I couldn't resist. Slowly building up a stock of bricks and storage, too. My brother and his family are living with me currently, and my nephew is really starting to enjoy Legos. You really have to be careful not to buy Legos off of Amazon unless you check the list price on lego.com first. It's really annoying. Glad I figured that out before buying any Legos off of Amazon. I don't fault Lego for not selling directly to Amazon, because of how they dictate the discount. Amazon would probably require something like a 55% discount off the list price. I just wish there weren't third parties selling Legos on Amazon for crazy prices. I just need to not look at Legos on Amazon. 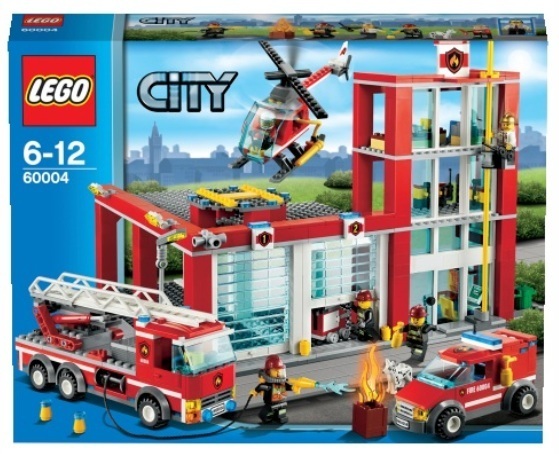 Nice:) My 3 year is infatuated with Lego right now, and his #1 choice on the Santa list is the Lego City Fire Station, he can recite the contents from memory. Picked it up at Target on monday, they had a great price online and are offering buy 1, get 50% off another lego city item through this saturday. Score! Lego sending out those catalogs is the best and worst thing ever. 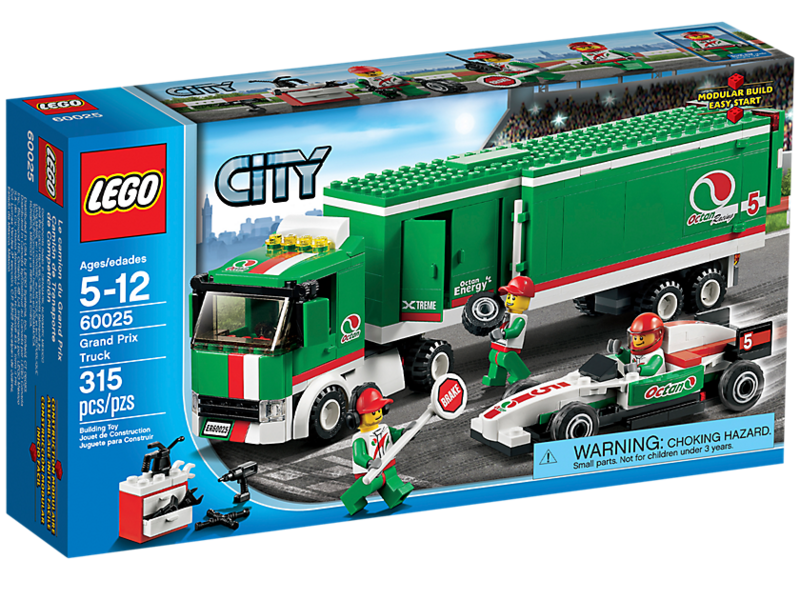 I got the Lego City Firetruck set (just a firetruck). It's actually a really cool firetruck and wasn't that expensive. It would be a pretty good addition to that fleet you now have. My nephew will be 4 in a couple months. It's really fun to see him progress with Legos as a toy. A few months ago, he could hardly put anything back together if it fell apart. Now he can fix things to a degree and "customize" things you put together for him. You still have to build things for him for the most part. Can't wait for him to be able to put stuff together on his own. That'll be cool. I sacrificed most of what I have so far for the greater good, my X-Wing being the biggest thing. The Sopwith Camel I have and the Falling Water set will stay in my room. They will not be taken apart. It's nice just to have a couple sets for yourself and makes it easier "destroying" everything else.